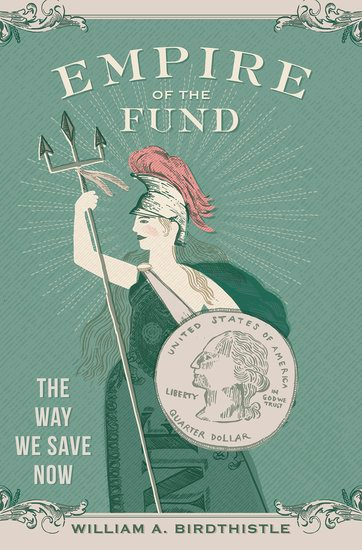 Good news, Billfold Book Clubbers — as promised, I was able to talk with author William A. Birdthistle after our book club discussion of Empire of the Fund, and ask him the most important question I had after finishing the book: what should ordinary investors do after learning that nearly all of the investment models available to them have significant problems? How can investors reconcile the “don’t touch those investments” advice with the equally valuable advice to reallocate their investment risk over time? Target-date funds. Before investing in a target-date fund, Birdthistle suggests “looking under the hood” and analyzing what the fund is made of. A Vanguard target-date retirement fund, for example, consists of four index funds that cover both the domestic and international stock and bond market, and the percentages of the investment allocated to each fund adjust over time. A Fidelity target-date fund, on the other hand, is made up of a long list of different investments. These two target-date funds will have different performances over time as well as different expense ratios. In the end, Birdthistle emphasized, what he would do would be to “follow the basic rules that people don’t want to acknowledge are right:” buy index funds, hold index funds, look for funds that offer the smallest expense ratios and lowest fees, and adjust the balance between bonds and equities over time. I think many Billfold readers have already acknowledged that these rules are correct, but it was nice to hear William Birdthistle reaffirm them.